Photo: General Motors of Canada Ltd.
Like many other automotive manufacturers, GM dreams of the day when their vehicles will no longer pollute, will no longer be involved in accidents and will no longer be stuck in traffic. No timeline has been set to reach these lofty goals, but the next step in their vision of the future will be to introduce two new electric vehicles in the next 18 months. And by 2023, the automaker will have launched 18 more. That will include battery- and hydrogen-powered vehicles. 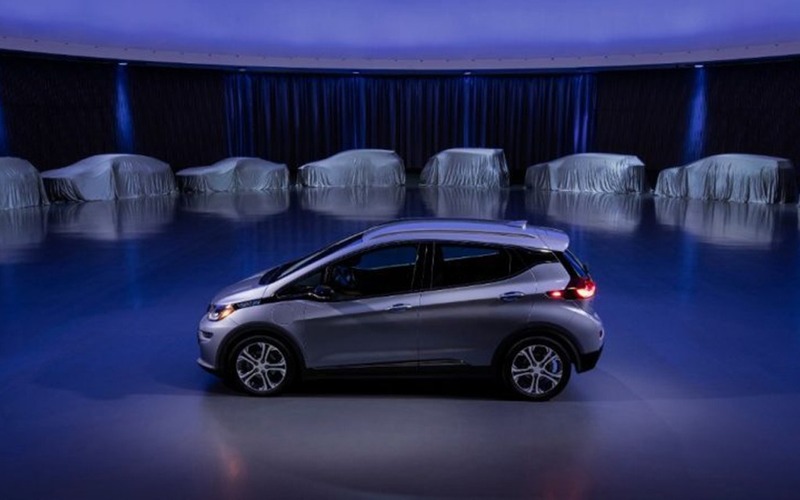 According to The Detroit News, during a media event at GM’s Technical Center Design Dome in Michigan, the company presented three concepts, including a Cadillac SUV, a Buick SUV and a futuristic Bolt EV, possibly equipped with an autonomous driving system. GM also introduced SURUS, a concept built on a truck frame that boasts a fuel cell powertrain and four-wheel steering. The SURUS, which stands for Silent Utility Rover Universal Superstructure, could serve as a basic for delivery trucks or ambulances, for example. No one could take pictures of the concepts, and GM hasn’t published any either. Blog General Motors is Reducing its Car Lineup. So?